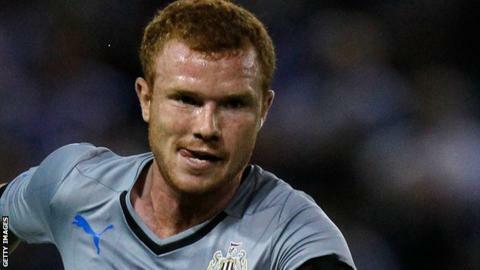 Gateshead have signed winger Callum Roberts and striker Adam Campbell from Premier League side Newcastle United on 28-day youth loan deals. Campbell, 20, has made five substitute appearances for his parent club, in addition to loan spells at Carlisle, St Mirren and Fleetwood Town. Roberts, 17, was handed his first-team bow at Leicester City in the FA Cup having impressed at academy level. Both are available to play for Newcastle under the terms of the deal.